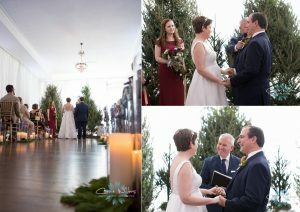 Kate and Joe came all the way from New York for their Christmas Themed Wedding at the Private Social Club – The Orlo in late December. Kate looked amazing as she was escorted down the aisle by Joe’s nephew to join Joe at the head of the aisle. There, in front of their family and friends, the couple shared their vows, exchanged rings, and were pronounced husband and wife by Rev. Rick Lackore of Sensational Ceremonies. Ceremony Music provided by Sunset Strings, Florals and Décor provided by FH Events ,and Event Coordination provided by Loren and Lindsay with Burlap to Lace. Special thanks to Linda with Carrie Wildes Photography for providing this beautiful photo montage of events during their ceremony. Congratulations to the new Mr. and Mrs. Joseph Scalzo! Copyright © 2019 Sensational Ceremonies. All rights reserved.